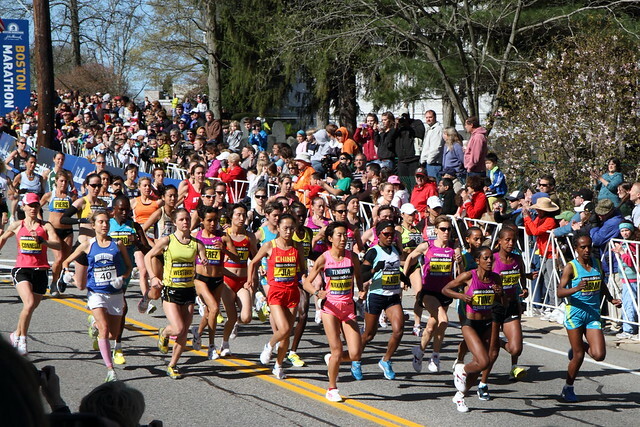 The Boston Marathon is one of the most famous foot races in the world. People from all over the globe qualify to compete in the race, which takes place on Patriots’ Day every year (this year it’s April 15), stretching from Hopkinton Green to Copley Square in Boston. There are a number of great places to watch the race, and if you want to ride along and hit a bunch of different spots, we’ve got a bunch of resources on our Biking the Boston Marathon page. Baseball season in Boston starts in April, when the Red Sox play their opener at Fenway Park! This year they’re squaring off on April 9th against the Toronto Blue Jays. You can find a full baseball schedule here, and don’t forget that the Celtics and Bruins will be playing into April too! Don’t want to pay for parking at Fenway, and don’t want to be stuck on an over-crowded T train? We’re always happy to rent bikes to people heading to the game. If you’re looking for a really special experience, come join us on one of our Funway to Fenway tours, which combines much of our flagship City View tour with a VIP tour of Fenway Park! Movie buff? The Independent Film Festival Boston gets going this year on April 24. While they’re currently keeping quiet about what films are going to be on the dockett this year, in previous years they’ve shown films like The Corporation, The Saddest Music in the World, Ivans XTC, Me and You and Everyone We Know, and Metallica: Some Kind of Monster. The festival shows narrative features, documentary features, short films, animation, and experimental works — something for everyone! The Run of the Charles (not to be confused with the Head of the Charles!) is Boston’s Premier Paddling Race, taking place this year on April 28. The Run of the Charles is the largest flat-bottomed boat race in New England and draws 1,500 racers and thousands of spectators every year. In addition to providing tons of fun and a great excuse to spend a beautiful April day (we hope!) outdoors, the race also serves to illustrate how water quality improvements and clean-up efforts that have been ongoing in the past few decades have transformed the Charles River into a cleaner, more friendly and fun recreation area. 5. Take a Bike Tour! And of course, the best way to spend an April day is on a bike! April days in Boston are often the perfect mix of sunshine and not-too-hot weather, making it a great time to spend a few hours touring the city by bike. 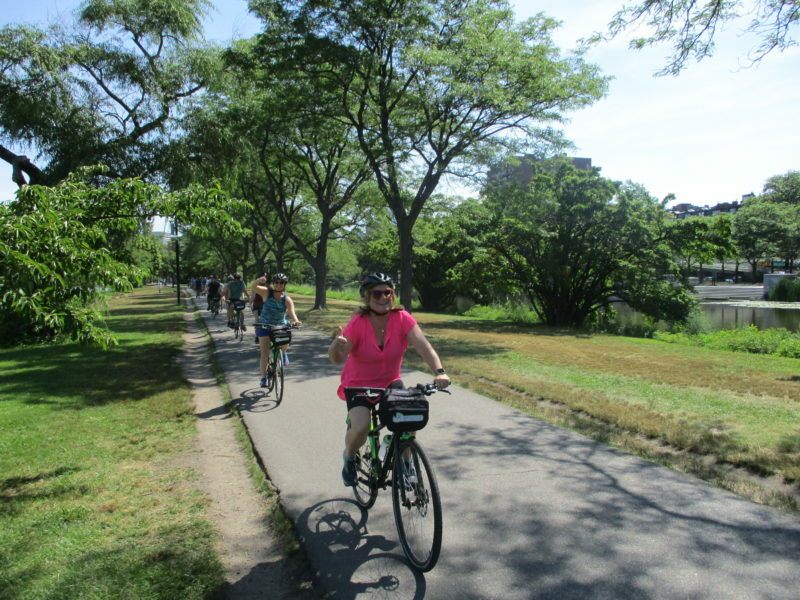 On our flagship tours, you’ll spend two and a half to three hours exploring the best of Boston by bike with our knowledgeable and friendly tour guides.